You will probably either sympathize or laugh at this latest story coming from the console gaming community. 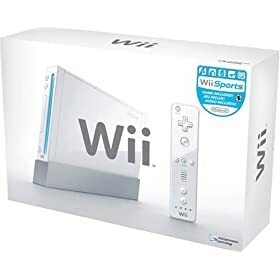 According to last Saturday’s Wall Street Journal (subscription required), gamers are finding that the new Nintendo Wii can be a real pain in the neck… back, shoulder, elbow, wrist, etc. Ryan Mercer, a customs broker in Indianapolis, lifts weights several times a week. But that hasn’t helped much with the Wii. After playing the boxing game for an hour and a half, his arms, shoulders and torso were aching. “I was soaking wet with sweat, head to toe — I had to go take a shower,” he says. And the next morning? “I had trouble putting my shirt on,” says the 21-year-old avid gamer. With the rate of obese children skyrocketing worldwide, you’d think people would be congratulating Nintendo for combining gaming and exercise, not complaining. Oh well. Grab another Big Mac and wait for the next generation of gaming consoles to come out. Maybe they’ll feature ‘mind control ‘ so you don’t even have to lift a finger to play.